Home beauty customer service glam and co glam&co cosmetics highlight jewel dust review reviews sparkle Worst Customer Service Ever? So I'm back again with another blog post. This one being a review/story of my experience with Glam&Co Cosmetics when I ordered some of their products. From the minute that I saw the Diane Everett x Glam&Co Jewel Dust Collection I just knew that I had to have the whole collection. There's 5 shades in the collection: Petroleum, Princess, Greenie, Goldilocks and Lilac Vibes. The product is multi purpose and can be used as a highlighter, pigment for eyes, all over body shimmer or even on your nails. The pots are €9.50 each so I was waiting until I had enough money saved for a rainy day to purchase these as I wasn't really in a hurry to get them! But when I saw Glam&Co announce a 50% off sale on the collection I couldn't resist so ended up buying them all at half the price. I ordered the products on the 18th of June, and my products weren't even dispatched until the 7th of July. Now I do understand that during sale periods businesses are alot busier but they had stated on their website that during sale periods it should take no longer than 5 working days to dispatch an order.. but it was 17 working days for my items to even be dispatched. If this was a case of ordering from another country I'd be completely understanding of the time frames it can take to ship an item from one country to another. But in my opinion, there's no excuse for a company advertising 5 working days for dispatch during busy periods and then for it to take over 3 times that amount when they're based in the same country! During the time that I was waiting for my delivery I started to worry that they had pretty much forgot about me so I sent 2/3 emails, I even added the owner on snapchat to try find out where my order was. ALL my messages went unanswered. I was more shocked at the fact that she viewed, and even screenshotted my message on snapchat and didn't even bother to reply. I was left waiting and just hoping that my delivery would arrive any day or that I'd get an email with an update on it.. I understand that small businesses are hard to manage but I have never ever received such bad customer service. I mean, to look at messages and not bother to even send a reply when someone has spent their money on your products is just so rude and so bad for your reputation. Moving on from the bad customer service experience.. I received the products what felt like months later and they were super pretty and I wasn't disappointed with them at all.. well.. only a little..
Something was blatantly obvious when I opened up the pots to swatch the products. The amount in each pot was completely inconsistent. Some of the pots were literally overflowing with the product and the other ones were half empty. The Glam&Co Cosmetics products are gorgeous but I honestly don't think I'll purchase anything from them again just after the bad customer experience I had with them. If you are purchasing anything from them I would recommend going into one of their stockists and buying them directly from a pharmacy or something just so you don't have to deal with them directly! 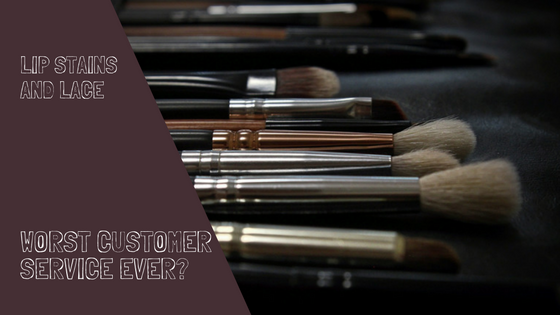 Have you ever experienced bad customer service by a beauty brand? Let me know, I love hearing your stories! The same thing happened to me, I ordered two of the jewel dust pots and they took three weeks to be delivered in June/July, and the pots were either half empty or too full up. I never bothered emailing because I was too busy myself, I probably would have been more annoyed if I had knowing that they ignored you.